New Delhi, Oct 31 (IANS) With India’s northeastern region being a pivot area of New Delhi’s Act East Policy, its importance again came into focus during Prime Minister Narendra Modi’s annual bilateral summit with his Japanese counterpart Shinzo Abe in Tokyo on October on 28-29. With Modi describing Japan as the cornerstone of India’s Act East Policy and the two countries agreeing to work together in more concrete terms for the development of the Indo-Pacific region, the Northeast has emerged as a key link in this chain. The Indo-Pacific region stretches from the east coast of Japan to the east coast of Africa and both India and Japan agree that the 10-nation Association of Southeast Asian Nations (Asean) regional bloc has to play a central role for the peace and prosperity of the region. 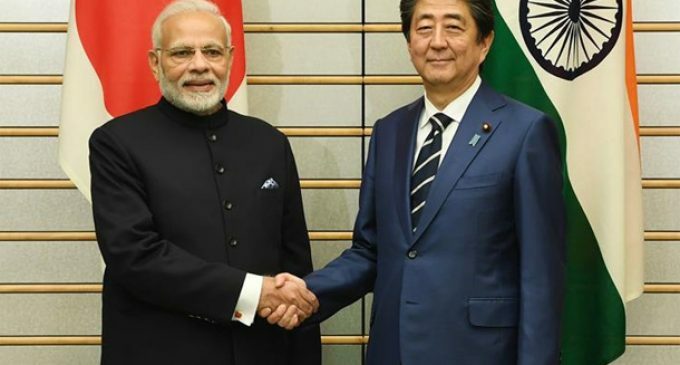 According to an India-Japan Vision Statement issued following the Tokyo summit, both Modi and Abe “reiterated their unwavering commitment to working together towards a free and open Indo-Pacific. “The two leaders also affirmed that Asean unity and centrality are at the heart of the Indo-Pacific concept, which is inclusive and open to all,” it stated. Under the Act East Policy, the Northeast, which shares historical and traditional bonds with the Asean region, is seen as the springboard for India’s increasing engagements with Southeast Asia and for this New Delhi has roped in Tokyo in a big way. Japan’s role in development work in the Northeast is also expected to boost connectivity between the member-states of the Bimstec sub-regional grouping. The Bay of Bengal Initiative for Multi-Sectoral Technical and Economic Cooperation (Bimstec), which came into existence in 1997, comprises seven countries lying in the littoral and adjacent areas of the Bay of Bengal — Bangladesh, Bhutan, India, Myanmar, Nepal, Sri Lanka and Thailand. Membership in the bloc allows India to engage more with the extended neighbourhood in Southeast Asia under New Delhi’s Neighbourhood First Policy via northeastern India. This will also help keep in check China’s growing influence in the region through Chinese President Xi Jinping’s pet Belt and Road Initiative (BRI) project. India has not joined the BRI on the grounds that it has put participating nations in debt traps and also does not respect the territorial integrity of other countries. Last year, India and Japan established the Act East Forum to serve as a driving force for cooperation between the two countries in the Northeast and the second meeting of the Forum was held on October 8 in which key infrastructure projects, including road development, in the region were identified. 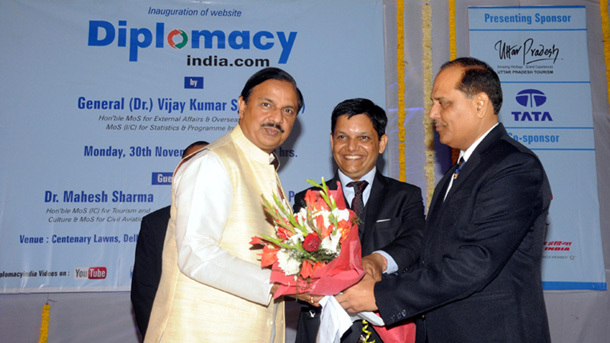 “The two Prime Ministers welcomed the progress made for the development of India’s northeastern region through the India-Japan Act East Forum by identifying and implementing projects for enhancing connectivity, sustainable forest and ecological management, disaster risk reduction and people-to-people exchanges,” the Vision Statement said. At an interaction organised by the New Delhi-based think tank Brookings India ahead of Modi’s visit to Japan, Japanese Ambassador Kenji Hiramatsu referred to a statement by Modi that Japan is the only country with which India will partner on the connectivity agenda. Hiramatsu said that India and Japan can not only contribute to some infrastructure project in the Pacific, his country is also keen to support development work in the northeastern part of India. He said that the Act East Forum was set up to discuss how Japan and India can collaborate together in many areas, including infrastructure, people-to-people exchange and disaster management in the Northeast. He also mentioned some of the key infrastructure projects in the region identified during the second meeting of the Act East Forum. These include National Highway 40 between and Shillong and Dawki, National Highway 51 between Tura and Dalu — both in Meghalaya — and National Highway 54 between Aizawl and Tuipang in Mizoram. The possibility of a corridor linking Gelephu, the border area between Assam and Bhutan, and Dalu, the border town between Bangladesh and Meghalaya, in collaboration with the Asian Development Bank (ADB) is also being explored. This will include the Dhubri-Phulbari bridge project, which will be the longest river bridge in India when completed, as the third phase of the Northeast Road Network Connectivity Improvement Project. Development of main district roads (MDRs) and other district roads (ODRs), which will have positive socio-economic effect, is also being considered. “We are very happy to have connectivity projects together in the Northeast to eventually connect with neighbouring countries like Myanmar or Bangladesh,” Hiramatsu said at the interaction. Disaster management is another area of cooperation India and Japan are discussing and Hiramatsu said that his country has a lot of experience to share with the Northeast, a region that is prone to floods and earthquakes. The October 8 Act East Forum meeting decided to expedite Japan’s contribution to resilient infrastructures in the Northeast and through capacity development project on highways in the mountainous regions. Both sides are also discussing knowledge sharing on the issue through a Japan-India workshop on disaster risk reduction. Following the October 29 summit in Tokyo, India and Japan also exchanged notes on seven yen loan agreements for key infrastructure projects in India, including two in the Northeast — renovation and modernisation of the Umiam-Umtru Stage-III hydroelectric power station in Meghalaya, and sustainable catchment forest management in Tripura. Biodiversity conservation and forest management projects in Nagaland and Sikkim are also under consideration. People-to-people ties also form a key aspect in Japan’s engagement with northeastern India and for this it has been decided to promote Japanese language education in the Northeast. Gauhati University and Cotton University in Assam, English and Foreign Languages University in Meghalaya, and the National Institute of Technology in Nagaland have expressed interest in this.